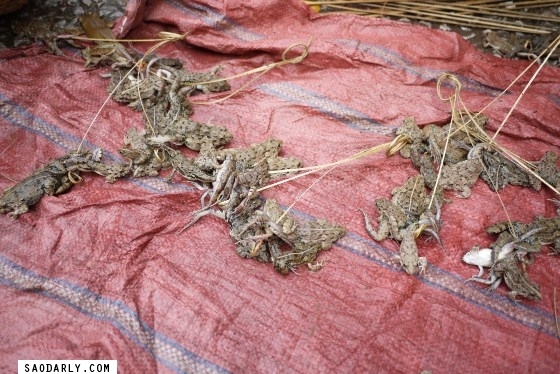 Live frogs at Luang Prabang Morning Market. 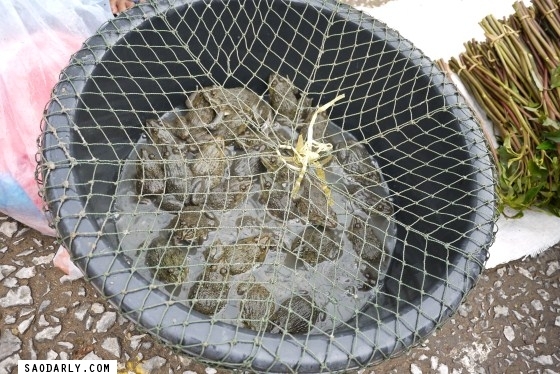 I can’t remember what frogs taste like, maybe like chicken? 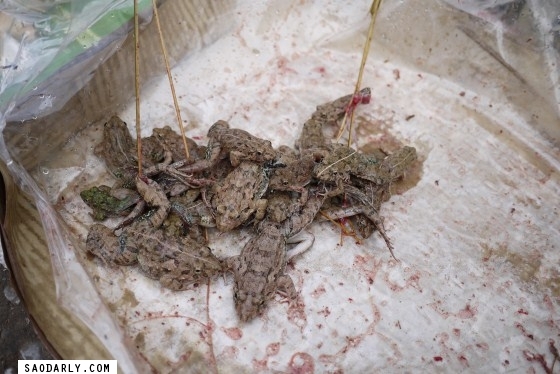 The last time I ever eaten frogs was when I was a little kid living in Vientiane, Laos. 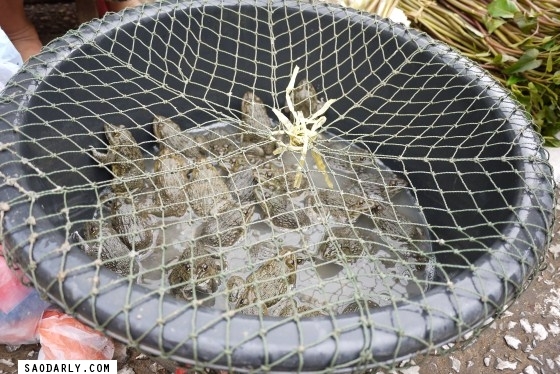 I can recall my parents made frog stew and Pon Kop, which is like Pon Pa except for using Kop or frog instead of fish. 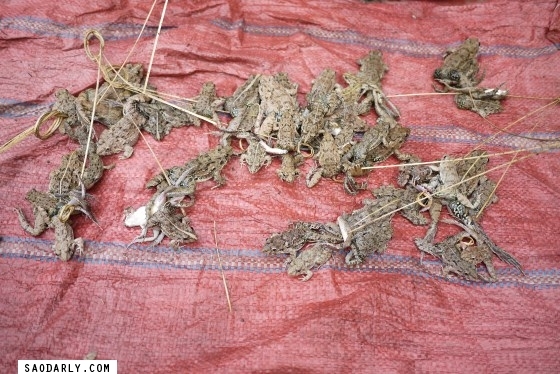 If you like frogs then you can buy them fresh daily when frogs are in season at many local market across Laos. 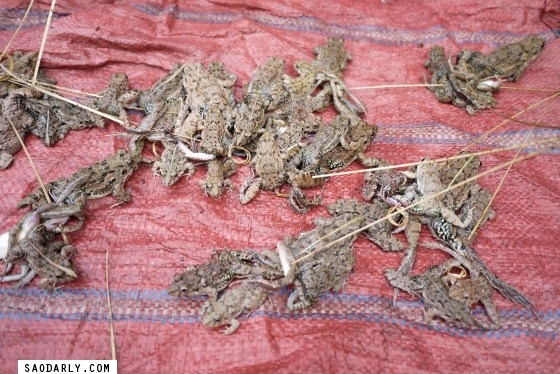 Next time I am in Laos I will have to ask my aunts to make me either frog stew or Pon Kop.